In conversation with Dr Vijay Muralidhar Sonar who has been treating the victims of snakebite for the past fifteen years in the city of Ahmednagar. Venom of a snake has 26 components, out of which 14 are common in all. The venom of a snake is meant to kill its prey before it swallows it, and humans are just a collateral damage. The venom of a common krait and a cobra are neuro-toxic, means the venom attacks the central nervous system (brain and nerves in the spinal cord), and the symptoms like dropping eyelids, difficulty in swallowing and breathing difficulties appear after a few hours. The venom from the viper family is more hemolytic, meaning it causes massive internal bleeding. Some of its components also cause certain degree of neuro-toxicity. How do you access the victims? 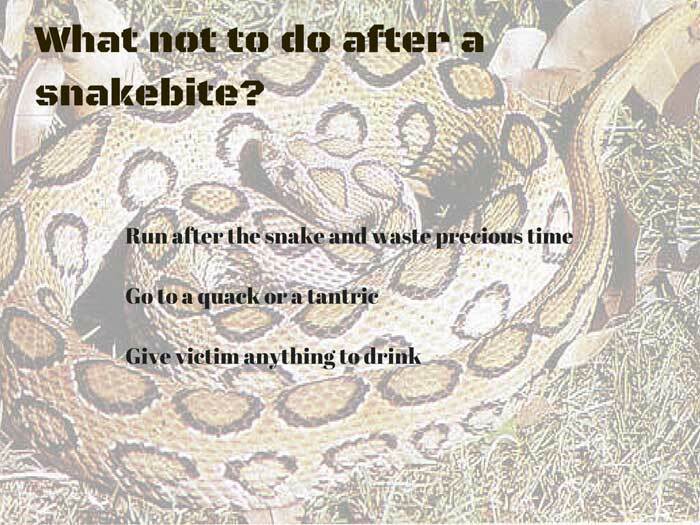 The most important is to first find out if the bite is from a poisonous snake. 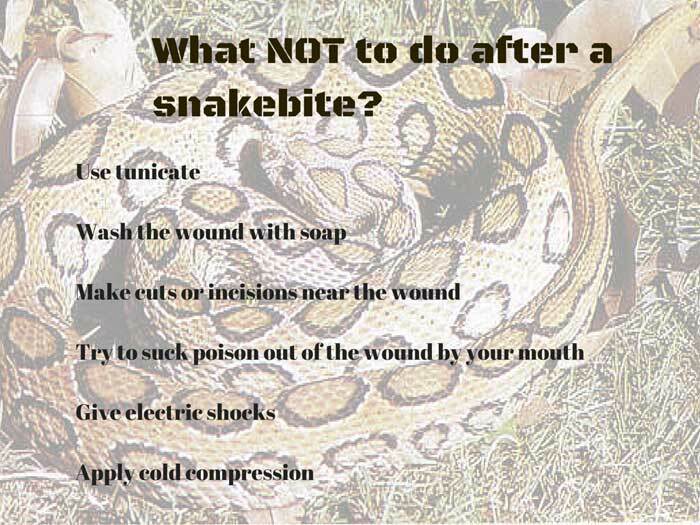 Before we start AVS treatment we try to understand that if it is from a poisonous snake we hope for a dry bite or at least for a less degree of venomation (how much venom has been injected by the snake into the victim’s body). The next is to find out which snake? Here we take what is called a syndromic- approach (symptoms caused by a neurotoxin like breathing difficulty means a Krait or a cobra). In any case, the bites on the hands have less venomation (since we tend to jerk our hand as a reflex action to get rid of the snake) but if the bite is on the lower legs because someone has accidently strode on a snake, it usually causes severe degree of venomation. 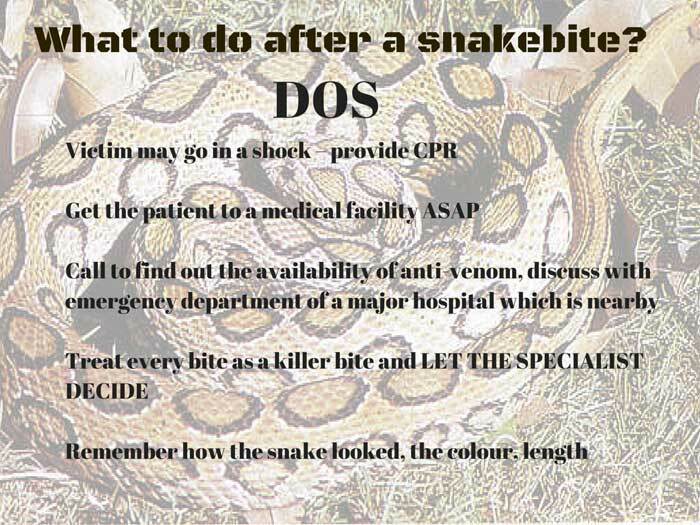 Another aspect is the time between the snake bite and the victim reaching the hospital. 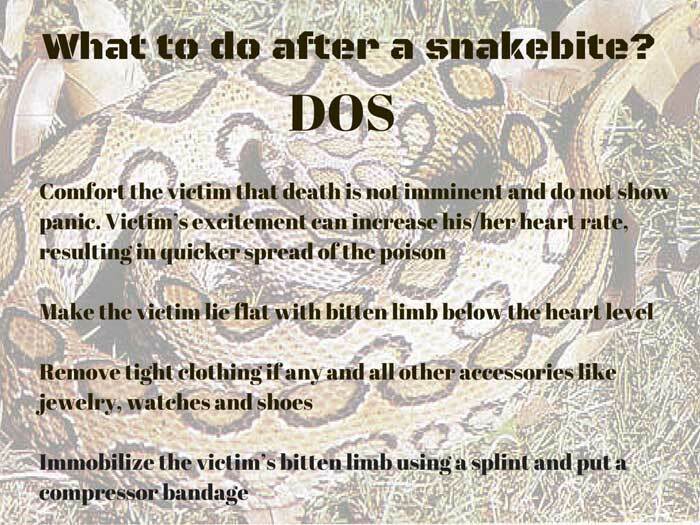 First eight hours are crucial, we observe the victims of venomous snakes for 24 hours and watch for the systemic signs like breathing difficulty, and paralysis. Does that mean without AVS you are helpless? 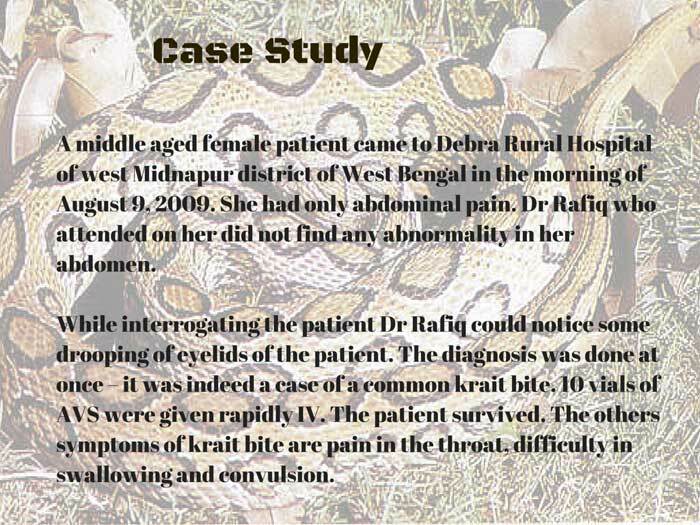 No, for a Krait and Cobra bites patient can be saved if artificial-ventilatory-support is available. It will not let the victim’s respiratory system collapse. After a few hours the victim’s body will neutralize the venom and the victim will live on. That is why we want all the villages, and town to have ventilator-support in civil and government hospitals. AVS helps a far quicker recovery though. 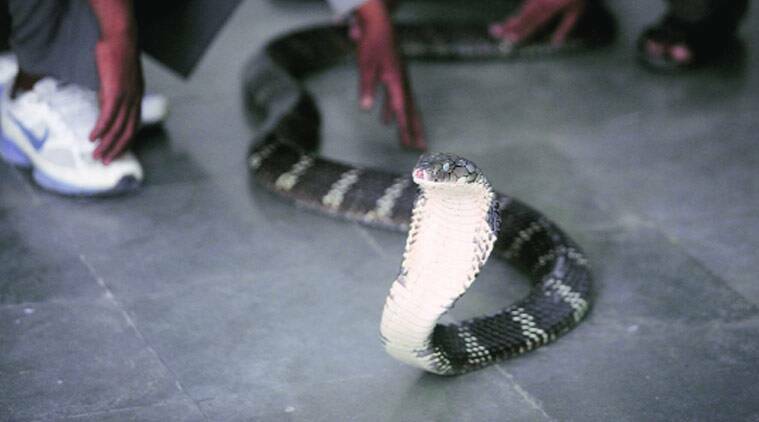 Are babies of these venomous snakes harmless? Far from it. The venom of a baby snake is far more potent than the adult ones. In other facts you want to share with our readers? About 25% develop reactions to the anti-venom serum (AVS) ranging from mild to fatal anaphylaxis. Anyone treating snakebite with AVS must have antidote against this reaction ready-at-hand. Also, if a person has survived snakebite (poisonous, non-poisonous) earlier in his/her life, his body contains antigens. In such cases a second bite can produce a huge reaction and this victim may need a more aggressive treatment with AVS.